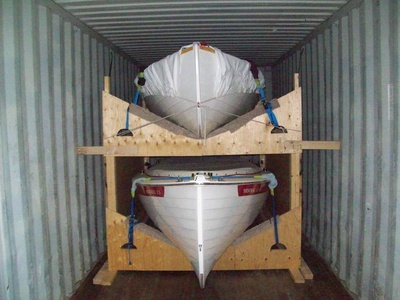 Boats and yachts with a beam of a maximum of 8’6” or 2.59m & height of 1.8m can fit inside a container. Boats & Yachts with bigger beams have to go Roll on Roll off. Having your boat or yacht packed into a container can save you large amounts on your shipping costs, and is the cheapest method to move boats or yachts. 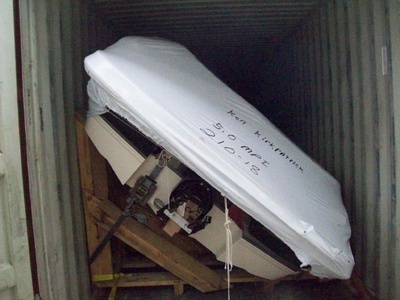 There are pros and cons to shipping boats and yachts in containers and Roll on Roll off / Break Bulk. Boats and Yachts which cannot fit into a container for shipping must be shipped as a boat on trailer (ro/ro) or boat on cradle (break-bulk) Service. This service is charged per cubic metre, so reducing the overall dimensions can save you shipping costs by removing windscreens, masts, keels, t-tops, radars etc. All 2nd Hand Boats and Yachts are subject to a mandatory Quarantine Inspection, and must be unpacked at a Quarantine Approved Premise (QAP), fumigating your boat or yacht will NOT stop Australian Quarantine from inspecting your boat or yacht on arrival, if it is 2nd hand it will be inspected regardless of what prior cleaning or treatment is done at origin.